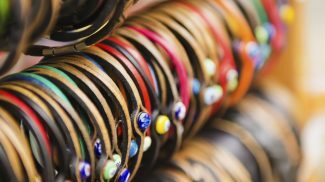 The Etsy (NASDAQ:ETSY) marketplace brings together millions of people from around the world who share the love for handmade items, vintage goods and craft supplies. Whether you are buying or selling, Etsy has created a platform that has continued to improve the experience for both parties since it was founded in 2005. The platform’s latest developments include a centralized hub for sellers and an improved inventory management system. 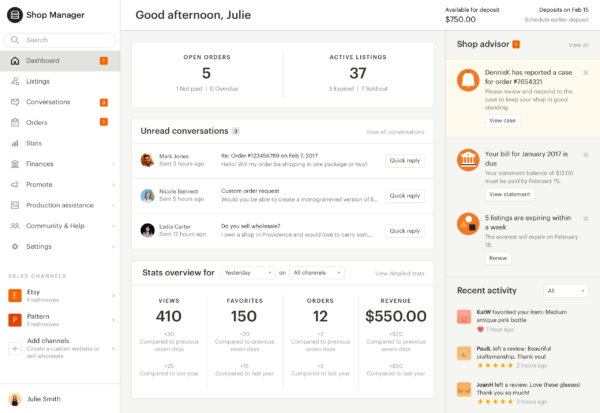 According to Etsy, this new hub is designed to give sellers more time creating and less time managing the shop with tools and services that have been simplified for easy access. 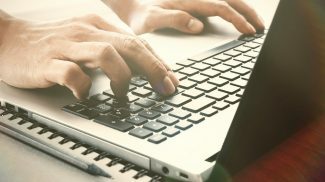 Shop Manager gives users the data they need to run their business so they can make informed decisions quickly without having to waste time searching for the information. This includes open orders, shop stats, and recent conversations with customers. And if there is something that needs your attention, Etsy will alert you. You can also preview all of the places on Etsy you sell your items, search across your shop and manage your shop on the go with your mobile device. Whether your inventory is small or large, it is very easy to lose track. 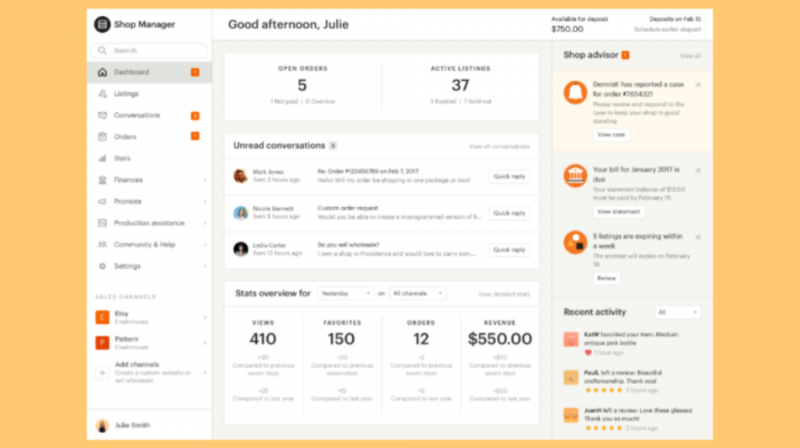 In fact, Etsy says it made improvements to its inventory management tool because it was the most requested feature. So the company has introduced an option to add a Stock Keeping Unit (SKU) to each listing or individual variation in your store. 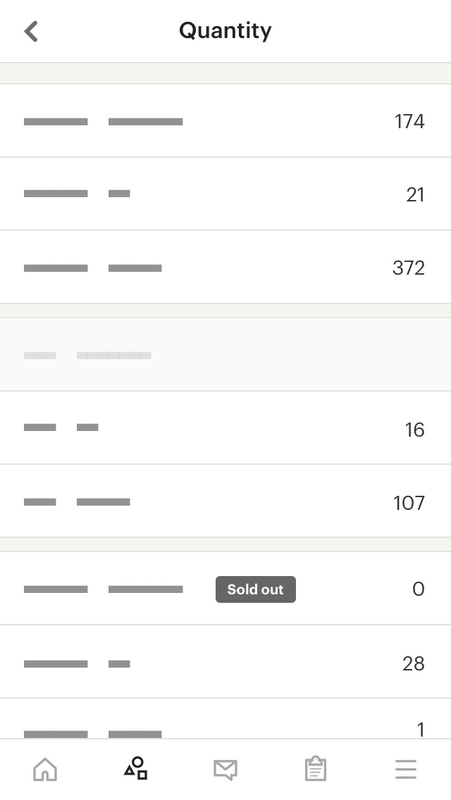 An SKU is a proven technology used by retailers across all industries, and as part of Etsy’s inventory management you will now be able to keep track of your items not only in your store, but also in your workshop. With this feature, your buyers can easily differentiate items with accurate pricing, and you can track your inventory with SKU numbers, even on different platforms.